This FAQ page is currently under construction and therefore does not claim to be complete. If you can’t find what you’re looking for here, please use our manifold additional support resources. What accessories do I need if I want to illuminate my aquarium with the Mitras Lightbar 2? Operation via App GHL Connect, Cloud myGHL or PC software GHL Control Center? For devices with control panel (keyboard and display), settings can also be made here. Q: What exactly is GHL Connect? A: GHL Connect is a platform independent, web based and universal user interface for GHL devices. It is used in the app, the cloud service myGHL and the integrated web server. GHL Connect runs on Windows, Mac, Android and many other platforms. Q: Can I make all settings via the app, the cloud or the web interface (GHL Connect)? A: GHL Connect is under permanent development, meanwhile all important or frequently used settings and functions are already supported. The few currently not supported features are in progress and will be available soon. Also future new features will be implemented in GHL Connect immediately. Q: Do I need the PC software GCC for the initial setup of devices with network connection? A: No. 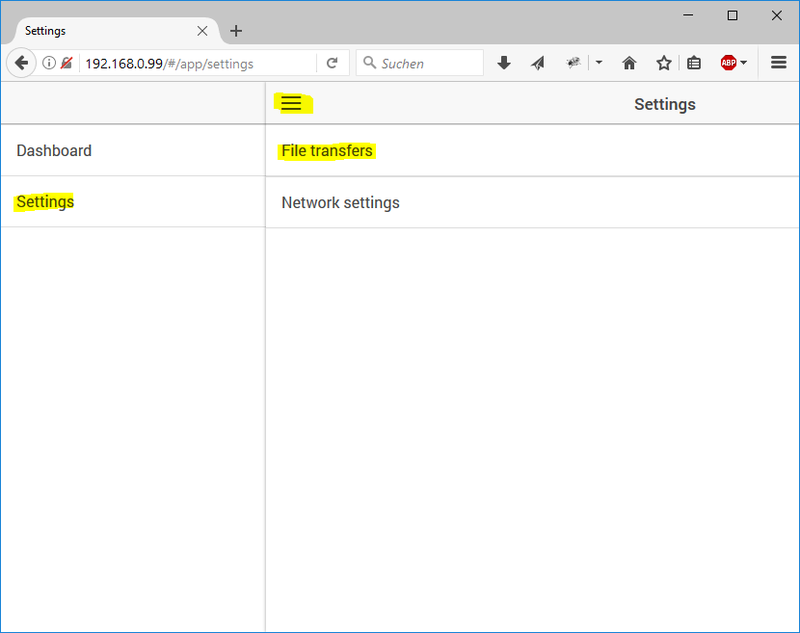 In the delivery state, WiFi/LAN is already active and the device is visible for GHL Connect (app and web server) – with WiFi as access point – so settings can be made immediately via GHL Connect. Q: What do I need the PC software GCC for? A: Mainly for updating the device firmware. Q: Is there a Mac version of GCC? A: No. Since the launch of our first ProfiLux 1 computers about 20 years ago, thousands of development hours have already been invested in GHL Control Center (GCC). GCC is an extremely comprehensive and constantly evolving software with tens of thousands of source code lines. Porting to Mac is economically not reasonable and because of GHL Connect not neccessarily needed. We will invest our resources in the further development of GHL Connect and in new features in the device firmware. Q: Can I use GCC on my Mac? A: Yes. Many of our Mac customers use a parallel Windows installation (e.g. Parallels, Bootcamp or Oracle Virtual Machine) to successfully use GCC. What is the difference between single junction or double junction pH & redox/ORP probes, what does GHL use? What type of pH and redox/ORP probes does GHL use? The quality of the measurement results is of essential importance. For this reason GHL uses only lab-grade double junction pH & redox/ORP probes, GHL does not and never did sell the cheaper and less reliable single junction probes. The reference cell of a single junction probe only has a material similar to a wick (hereinafter referred to simply as “wick”) which is in direct contact with the solution to be measured. This is an essential part that enables the probe to function and also a part prone to disturbances. The reference cell of a double junction probe has a wick that comes into contact with a second chamber filled with the same material as the reference cell. This second chamber also has a wick that is in direct contact with the solution to be measured. The second chamber slows down contamination, so double-connection probes can work reliably for up to 12 months or more if well maintained. 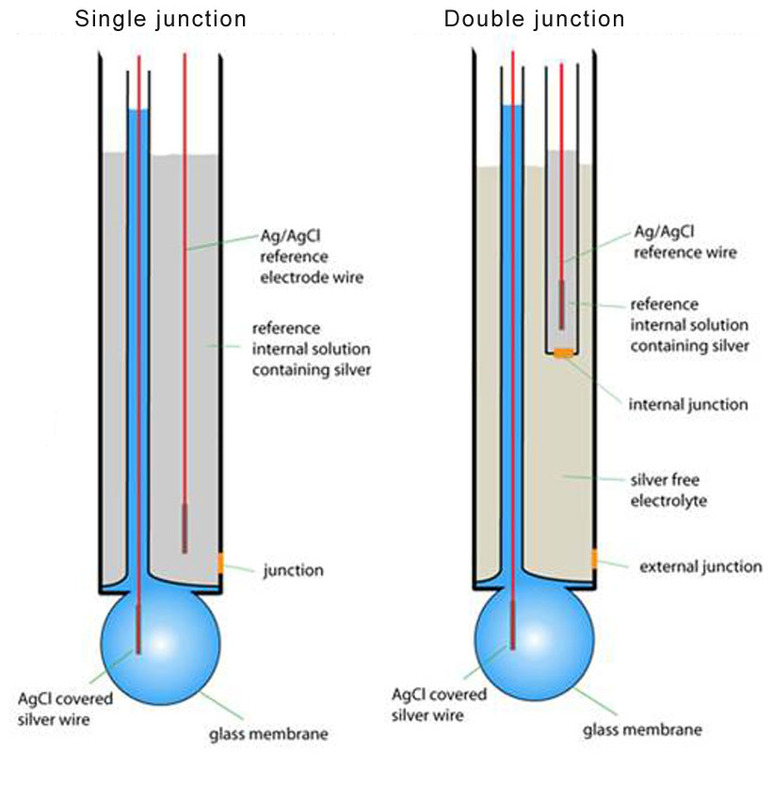 A double junction can also help protect the probe if the sample solution reacts and could form a solid sediment with the reference solution, clogging the wick and compromising its functionality. Contamination can occur faster with a single junction probe than with a double junction probe, so a single junction probe has a shorter life. Benefit from our many years of experience – since 2002, we offer dimmable led lights for application in aquatics. With the help of light energy from CO2 and water, coral symbionts and plants build carbohydrates and and discard oxygen; this process is called photosynthesis. In charge of this energy production is the plant pigment chlorophyll (a + b and carotene). Light beams can be understood as electromagnetic waves, which are made of energy particles called photons. The energy of the so-called Photon is dependent on its wavelength (nm) and its frequency (THz). Different wavelengths of light we see as color. The visible light by humans covers only a certain segment of the electromagnetic spectrum which moves in the range of 380-750 nm. 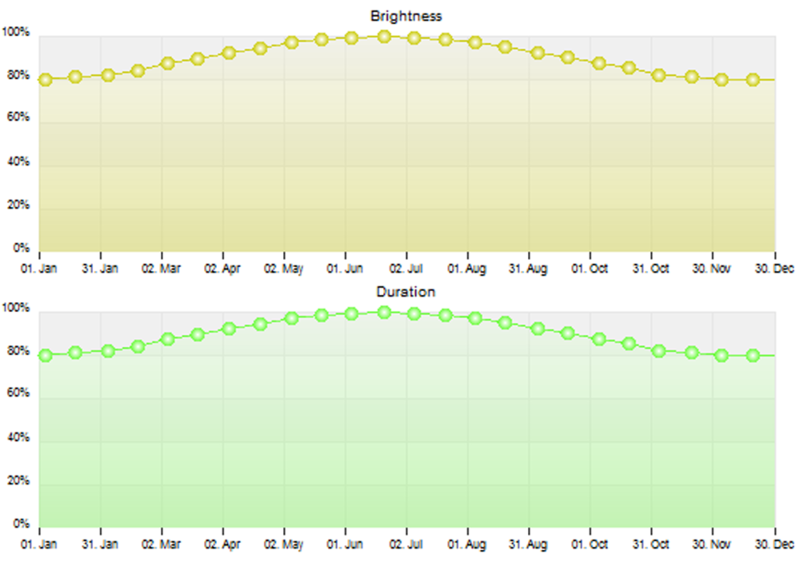 As you can see – For the intended use, a suitable light spectrum and light intensity are crucial for the photosynthetic activity of coral symbiont and plants. The higher the photosynthesis rate is, the stronger and healthier growth could be achieved. LUX (lm / m2) is the unit of illuminance, indicating which luminous flux (lumens) falls on a defined area. The light output lumens (lm) as a measure of the brightness is normalized to the human visual sensitivity. Because humans perceive blue or red light less intense than the green light, the lumen decreases though contstantly high radiation levels the more blue or red the light is. 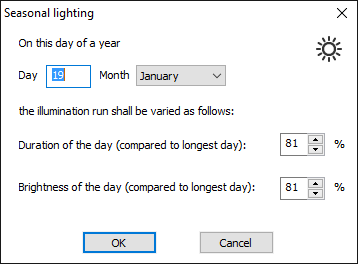 This is why, the specified lumens at our Mitras Daylight for example, are much higher than in the Mitras Actinic, though the wattage is almost identical. It is quite so that a luminaire with high lumens but unfavorable spectrum of photosynthesis is less beneficial than a luminaire with slightly less lumens but therefor optimum range. More meaningful is the so-called PAR value (Photosynthetic Active Radiation), which describes the available radiation for photosynthesis. All this offers the high-power Mitras LED illumination in perfection. Mitras Luminaires achieve above-average PAR values and thus ensures healthy growth in your aquarium. Our electric power includes also the consumption of the control electronics, not only the consumption of the LEDs. The light performance indicated by us includes also the performance of the LEDs which contribute less to the creation of lumen but which optimize the spectrum. Furthermore, we indicate the actually remaining lumen after deducting the losses through the glass and temperature increase. Contrary to the commonly used practice to use cheap series resistors for LED-current limiting, in our luminaires the current of LEDs is precisely controlled by electronics. This reduces the current consumption and waste heat. We truly believe that we could utilize the maximum out of LED-technology – the best LEDs, an extremely transparent protector plate, a massive cooling and an electronic control. More is hardly possible. If you find elsewhere better performance data, then you should question this critically. We don’t indicate any ideal theoretic values, but the performance data which can be reached in practice after deduction of all losses. What is the difference between the Standalone and Slave doser? GHL Standalone doser: Comes with built-in Wi-Fi for access via GHL Connect app, myGHL cloud, and GHL Control Center. Can be used as a standalone device; no controller required to operate. GHL Slave doser: Requires a GHL Standalone doser, ProfiLux 3, or ProfiLux 4 to operate. If I purchase a 2 or 3 pump GHL Doser, can I upgrade my doser at a later time? Absolutely! The GHL Doser 2.1 was designed to grow with your needs. When you’re ready to add more dosing pumps (up to 4) to your doser, you can simply do the upgrade by purchasing the necessary parts. If I wanted to just dose Alk, Calc, Mag. What do I need? If I wanted to expand my GHL Doser, what can I do with the Slave pump? Do I need to buy anything else such as additional cables? The GHL dosing system can support up to 16 total dosing pumps. If you already have a dosing unit and wish to add a Slave doser, you can further automate your dosing tasks by dosing liquid foods and other supplements such as trace elements. When adding a slave dosing unit, you will also need to purchase a PAB-cable (available in various lengths). What are the differences between the ProfiLux 4 Mega Set and Ultimate Set? Mega Set includes: Probes (Temperature, pH, Redox, Conductivity), calibration fluids, Powerbar, PAB cable, USB cable, and ProfiLux 4 controller. If I purchase a P4 Ultimate Set, what are the advantages of getting a ProfiLux Touch display? The ProfiLux Touch display provides an additional layer of convenience and point of access. With this accessory, you can view valuable information such as probe readouts and graphs. You can also setup 1-touch shortcut keys to trigger feed pauses, maintenance modes, and perform an Alkalinity test (KH Director required). If you wanted to manually turn on or off certain outlets, you can do that too. Ultimately, the touch display makes it easy to view and trigger commands as needed, even if your hands are wet! Can I control Ecotech Vortech® pumps with a ProfiLux Controller? Yes. To do this you would need a GHL Vortech Controller and a PAB-cable accessory. This Vortech controller will allow for wireless communication between your Vortech pumps and the ProfiLux controller. The PAB-cable is needed to connect the Vortech controller to the P4 system. What are the accessories that I can add on a ProfiLux controller? 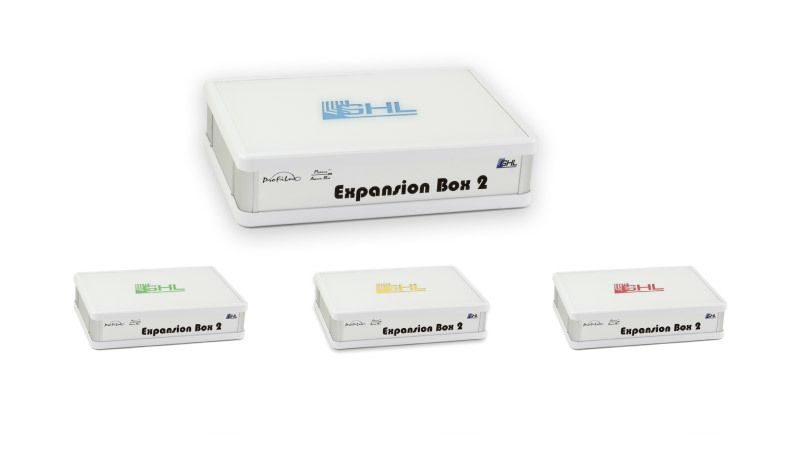 GHL offers a variety of expansion cards which can be mixed and matched to meet your needs. If you need to add additional probes or sensors, you can do so by simply purchasing a GHL expansion card. If you’re looking to control Ecotech Vortech® pumps, you can do so with our GHL Vortech Controller accessory. 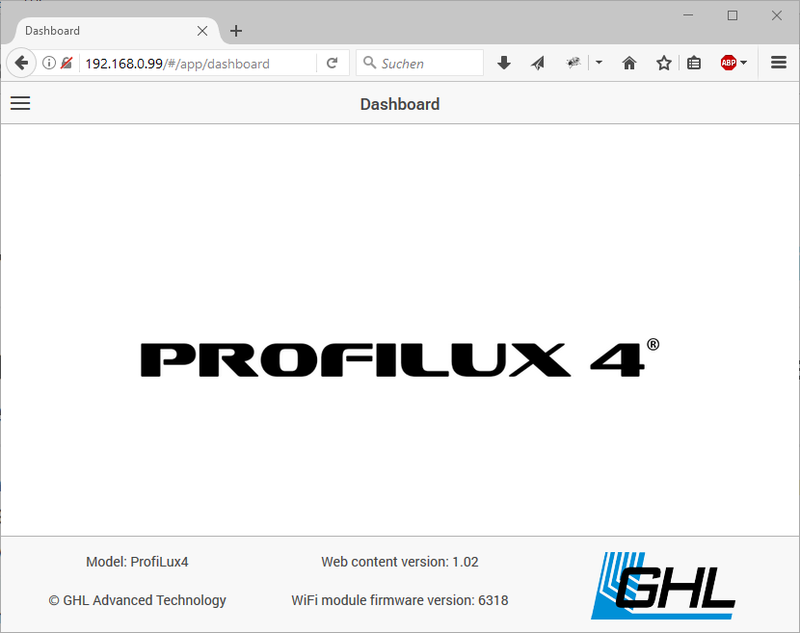 ProfiLux also accommodates the wish to control any 1-10v device; lighting, pumps, etc. Add GHL powerbars, Expansion Boxes, Dosers, LED lighting and LED controllers and much more – the expansion possibilities are almost unlimited. What is the difference between the LX 7006 and LX 7206? LX 7206: Saltwater model with an LED layout designed for growing health, colorful corals, including SPS! What is the light spread of a single Mitras LX7 fixture? Are Mitras LX7, GHL Doser and ProfiLux 3 & 4 controllable via an app? Yes, the all these devices can be controlled using the GHL Connect app. Can I connect the Mitras LX7, GHL Doser and ProfiLux to the cloud? Do I need to buy anything extra for that? Cloud access, yes. Extra accessories needed for cloud access, no. GHL Doser, ProfiLux 3 and 4 are equipped with Wi-Fi and/or LAN that allows you to connect it to an existing network. You can also connect all devices to the myGHL cloud for remote access to your device. All mentioned devices are cloud ready right out of the box. Can I control multiple Mitras LX7 in master/slave mode? Yes, multiple LX7s can be controlled from a single master LX7. In this scenario, one light is set as master and other LX7s are set as slaves. What mounting options are available for the Mitras? GHL Flex Mount: Is installed to the back wall of your aquarium stand. If I buy a ProfiLux 3 or 4 Controller, can I control the Mitras from it? To do this you will need to buy the PLM-PWC expansion card. This expansion card is installed inside the ProfiLux itself. This card is what allows wireless communication between the ProfiLux and Mitras. What I can do extra if I buy the Mitras with the ProfiLux Controller? 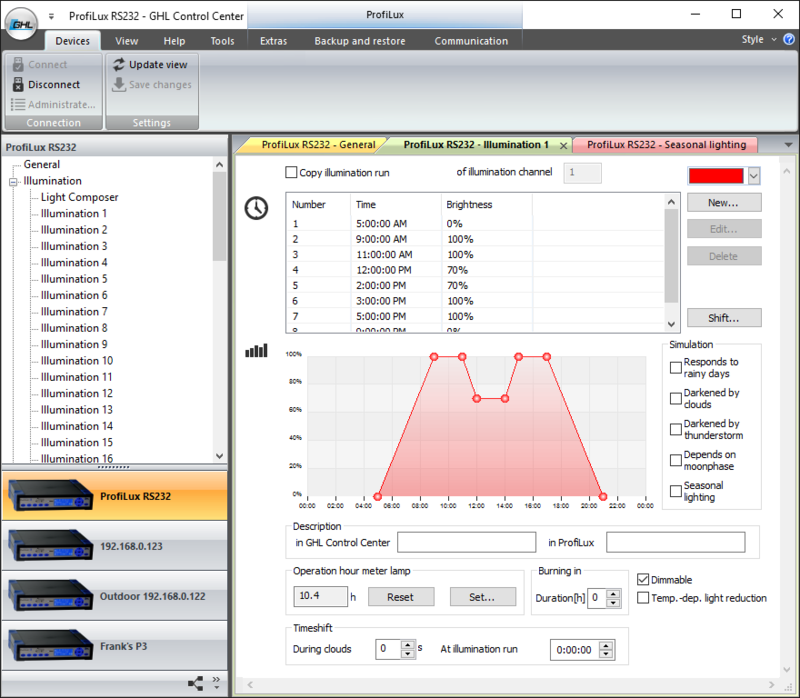 As long as you buy the PLM-PWC expansion card for your controller, you will be able to access your Mitras illumination settings from the ProfiLux connection. By adding a PWC expansion card, you make it easier for yourself to access the LX7 rather than connecting to the light itself. 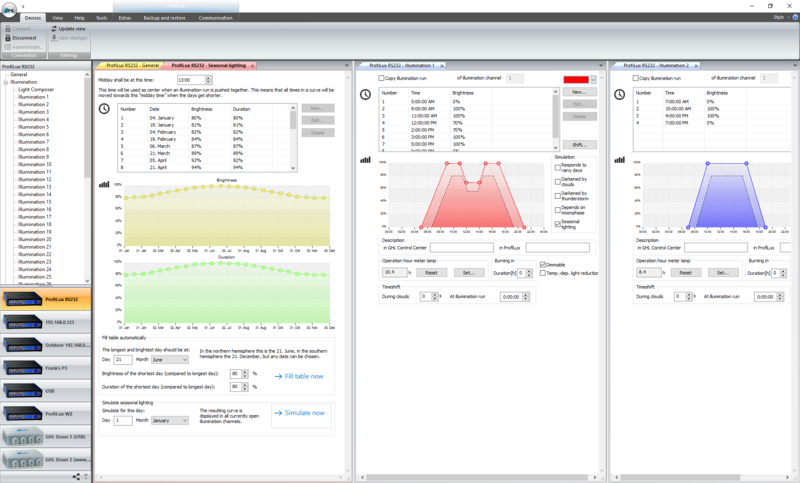 You can also synchronize special functions in ProfiLux and Mitras LX7, like thunderstroms and maintenance. Where do I find the newest firmware for my device? 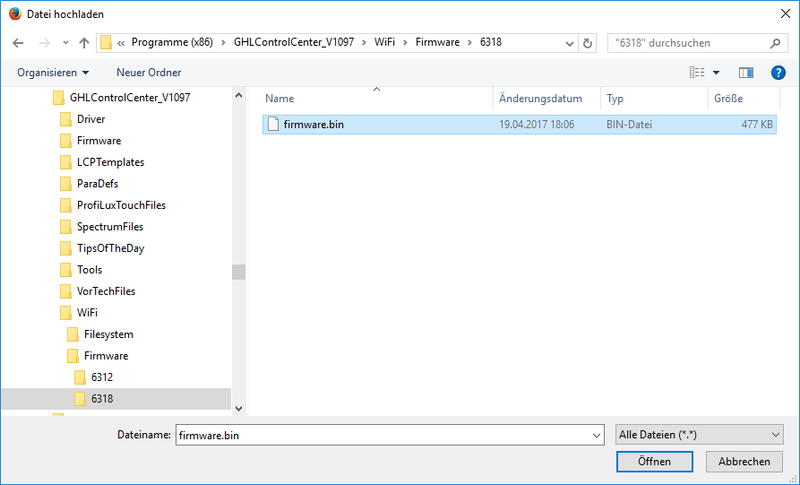 The newest firmware of all devices is always included in the newest version of the PC software GHL Control Center (GCC). The update is done through GCC, during the update process GCC finds the newest firmware for your device automatically. The KH Director (KHD) was designed for maximum accuracy and operational reliability. It is essential that you download and follow the latest KHD instructions in our download area. Calibrate the associated dosing pumps as exactly as possible. More here. Calibrate the pH electrode carefully and regularly. For a max. accuracy we recommend a calibration interval of max. 4 weeks. Then check the calibration: Immerse the electrode sequentially in the two calibration liquids (pH 4 and 7) and observe the measured pH value (visible on the KHD page in new GCC versions, if necessary, update GCC). The value should differ max. 0.1 each. The shorter and the lower the height differences of the tubes involved, the better. The reagent tube should not be longer than 70cm in total (without pump). To avoid bubbles in the reagent tubes, be sure to use the supplied Flex PVC tubing. You are welcome to contact us directly if you do not have it. The waste water tube must not hang in the water, it must hang freely over the water surface. If you use a water filter in the sample line don’t forget to add the volume of this filter to the sample tube volume. This message appears when the KHD failed to complete a measurement. The measurement is stopped after a certain time if the pH value could not change sufficiently. If this error occurs, you should watch the progress of the pH value during the measurement for further diagnosis (visible on the KHD page in new GCC versions, if necessary, update GCC). Does the pH value change? From what value to what value? The KHD has an internal (in-device) leakage sensor to shut down the system in case of water penetration for safety reasons. Although everything was done correctly and all calibrations are correct for sure, the readings of the KHD differ from your expectations. 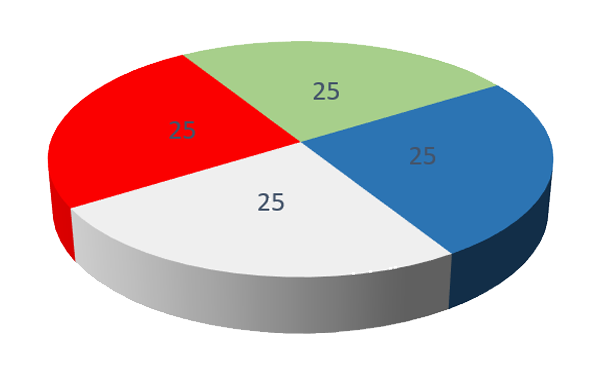 According to our investigations and observations of many customers, the measured values ​​of various test procedures (test kits, optometric measurements, KHD) are up to 2°dKH apart. These deviations are product and user dependent, not exceptional and usually no reason for a complaint. The KHD offers the maximum possible accuracy if the instructions and the points mentioned here have been observed. If one nevertheless prefers to see other values ​​- e.g. 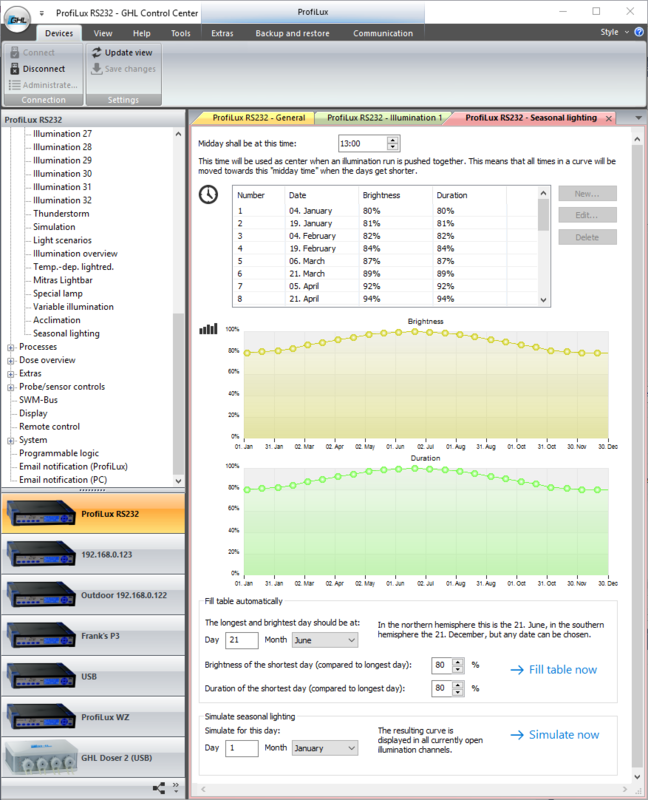 because you are used to the values ​​of a certain test kit, you have the option of trimming the values ​​displayed by the KHD in the range +/- 30% (see setting option on KHD page). How do I update the WiFi Module? The WiFi module has its own file system and firmware, this is independent from the device. 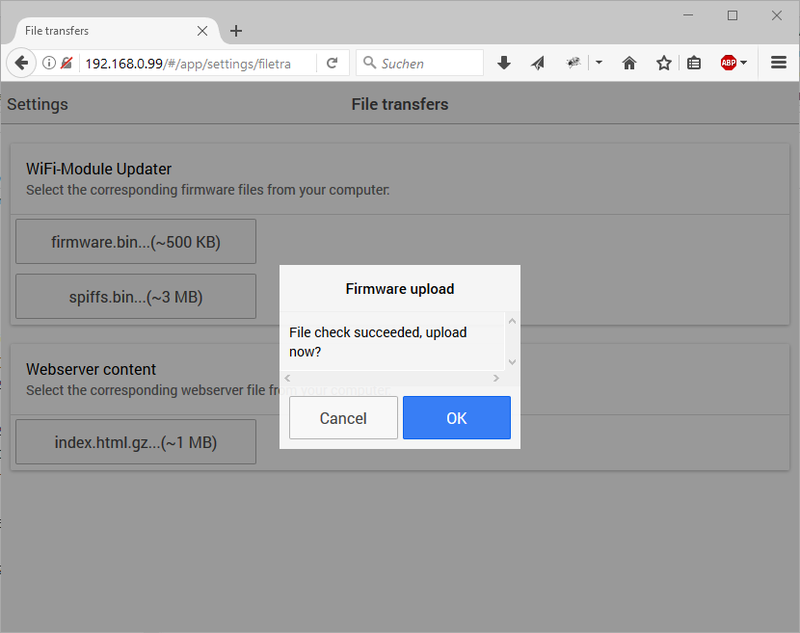 The file system as well as the WiFi firmware can be updated via the web interface. A stabile WiFi connection to the device (resp. its WiFi module) is required. We recommend a static IP address. In case myGHL is used: Prior the update myGHL should be disabled temporarily to avoid interferences during the update, reboot the device after disabling. 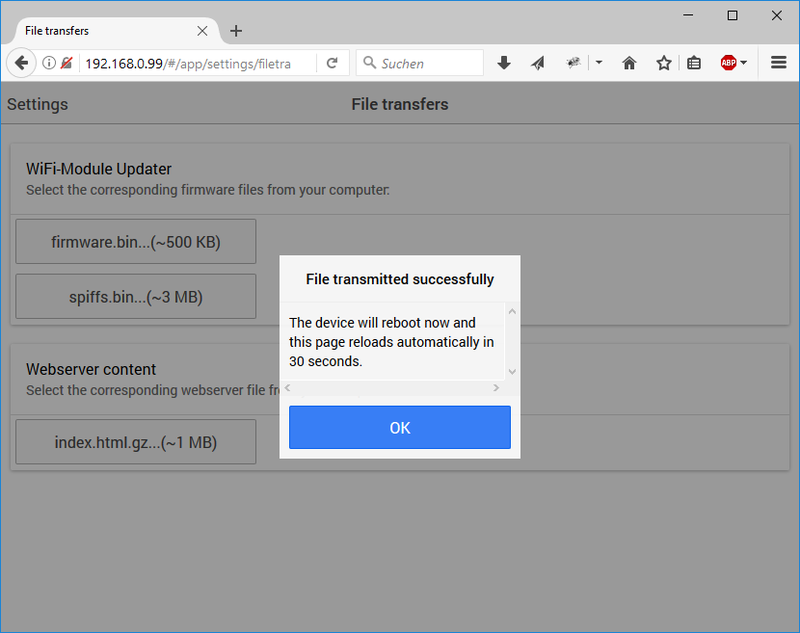 Attention: The browsers Edge and Safari are not recommended for the firmware update; problems with these browsers have been reported. Please use Firefox, Chrome or Internet Explorer. Enter the IP address of the device in the address line of your browser. Login if you are asked to, the default login is: Username admin, PW: Starfish. 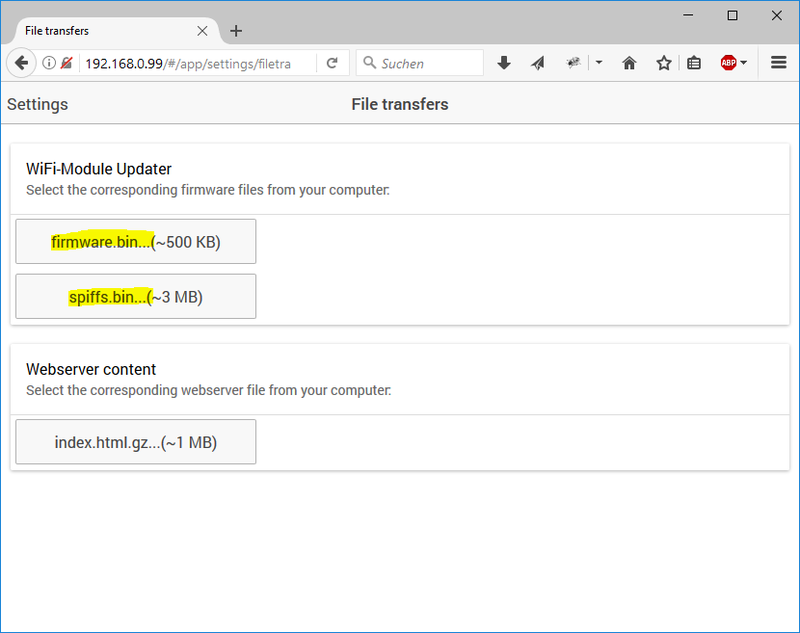 Open the menu (Sandwich-Button), Settings->File transfers. If you want to update the firmware, click firmware.bin if the file system is to be updated spiffs.bin. You’ll find the files in the program directory of GHL Control Center 1.0.9.7 and higher. The firmware Version 6318 is in C:\Program Files (x86)\GHLControlCenter_V1097\WiFi\Firmware\6318. Confirm following message with OK. The update is running now – under no circumstances interrupt it! After a while the update is completed. Confirm following message, the WiFi module boots now, wait until the web page is refreshed. The upload is done now. 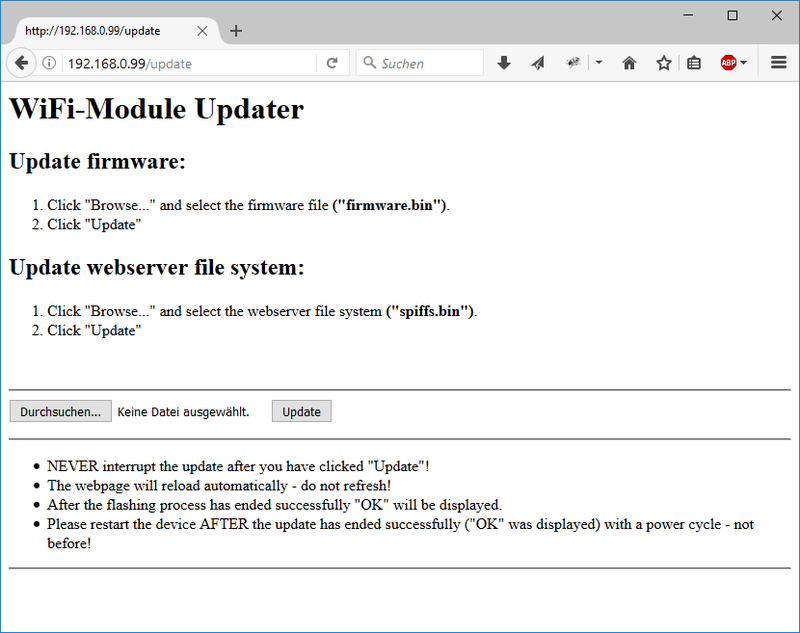 On the dashboard of the web interface you should see now the actual version number of the firmware resp. the file system. Only necessary if the file system is corrupted! Otherwise do the uploads as described above! In case the file system is corrupted (e.g. through a failed upload attempt) the web interface will not be accessible anymore, the above procedure is not possible anymore. What is the Power Balancing Technology (PBT)? 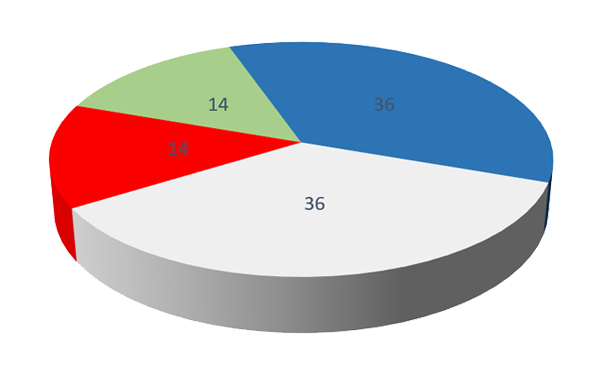 In most dimmable lamps with multiple color channels from other vendors a change in the light color is realized by reduction of the less wanted colors. This means that the maximum available power can only be accessed when all color channels are operated at 100%. Once a color channel is reduced, the full lighting performance can’t be used. 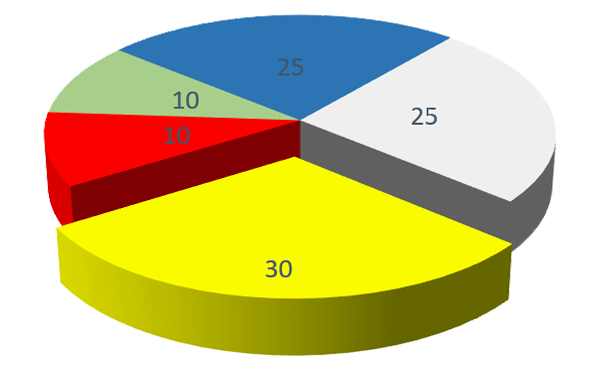 PBT allows the optimal use of existing power resources: The power that is saved in reduced color channels can be assigned to other color channels. A complex microcontroller-controlled electronics determines temperatures, currents and other parameters, and ensures safe operation and long life of all the LED color channels. In GHL lights LEDs are generally not operated at the maximum allowed current, through the high power reserves PBT can be used optimally. In sum 100W, the maximum light output. In sum 70W, 30W (shown here in yellow) of 100W unused. In sum 100W, the maximum possible light power can be fully used. The maximum possible lighting performance is mainly determined by the power supply and temperature management. It therefore makes more sense to move the existing power between the individual channels and thus be able to use the full lighting performance even with color change, instead of just reducing individual channels and not being able to use the possibe total power. GHL Power Balancing Technology can be found for instance in the Mitras Lightbar 2 and Mitras LX7. What is the meaning of the blink and color codes of the GHL Logo? Some GHL devices have an illuminated logo which displays system information using a RGB-LED. Standard – up to 2 information are shown, the logo might blink for displaying a certain information. Standard w/o Blinking – only one information can be displayed, the logo shows one color permanently. Off – no information is displayed, the logo is not illuminated. Constant Red, Green or Blue – no information is displayed, the logo is permanently illuminated with the selected color. In addition, the brightness of the logo illumination can be set in the range of 20% to 100% (in the “off” mode, the brightness is independent of this always 0%).